kiss ~Unmasked Tour…Copenhagen, Denmark ~October 11, 1980﻿. . Wallpaper and background images in the kiss club tagged: photo kiss paul eric ace gene unmasked tour copenhagen denmark october 11 1980﻿. 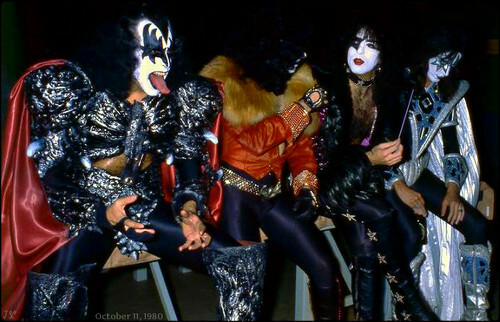 This kiss photo might contain hip boot, thigh boot, sobreveste, sobretodo, and cota de.